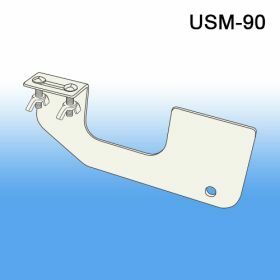 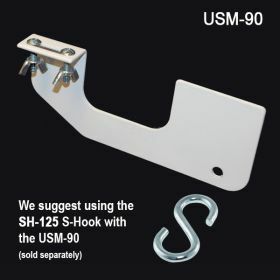 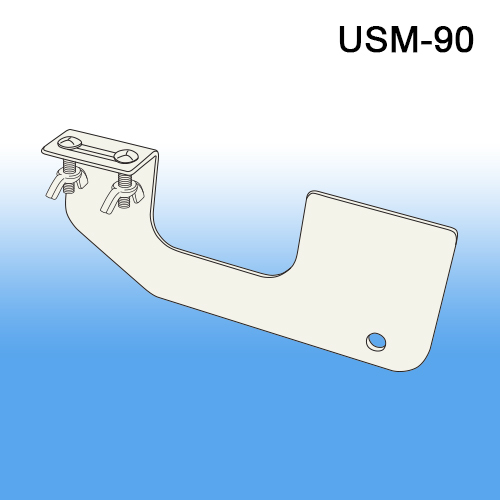 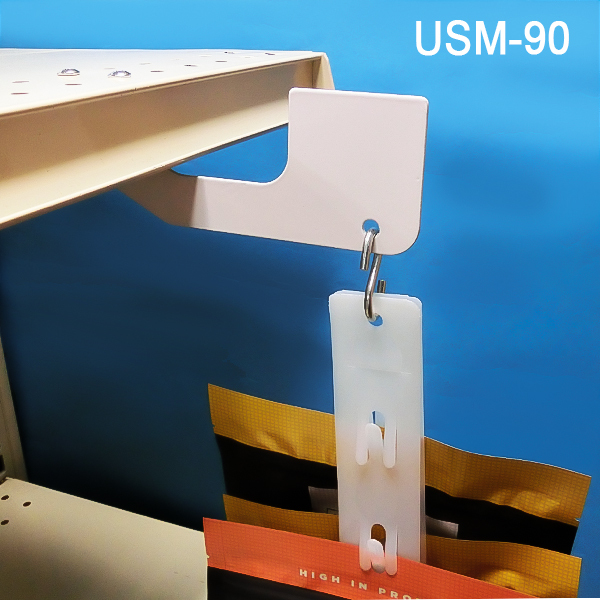 Minimum quantity for "Under-Shelf Mount Merchandising Strip Hanger, USM-90" is 5. 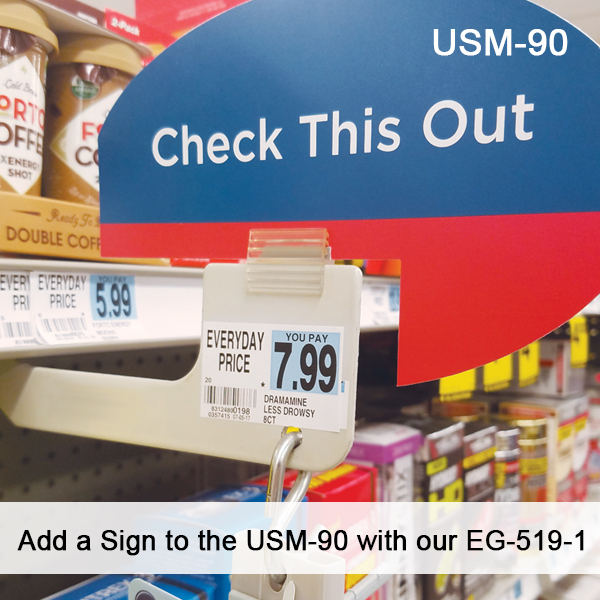 Product makes for a great "every aisle" merchandiser program at retail. Many of the times you will see multiple USM-90's per aisle as a permanent retail installation from gondola displays and other in-store metal shelving. 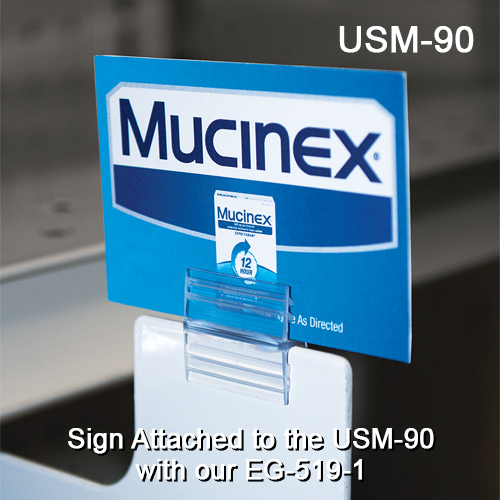 You can run different merchandising strip programs for different promotions on an on-going, as needed basis. 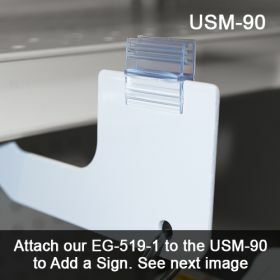 Every store should include this product merchandiser hanger adapter bracket into their displays to make the hanging of double sided clip strips easy.